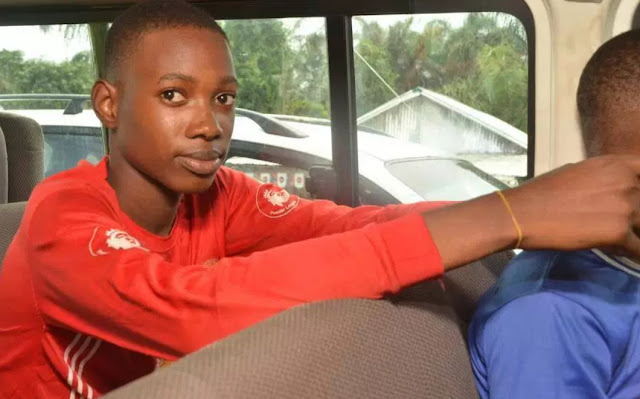 The six secondary school students kidnapped from Lagos Model College in Igbonla area of Epe Lagos have been set free. The boys kidnapped in broad daylight on the 25th of May 2017 regained freedom today in Ondo state. The male students identified as Yusuf Farouq, Agbausi Judah, Philips Pelumi, George Adebayo, Jonah Peter, and Rahmon Isiaq have since arrived Lagos. 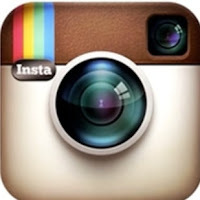 They are currently receiving medical treatment. Check out the moment the students regained freedom today. These poor kids spent 64 days in the den of their kidnappers. So sad!. 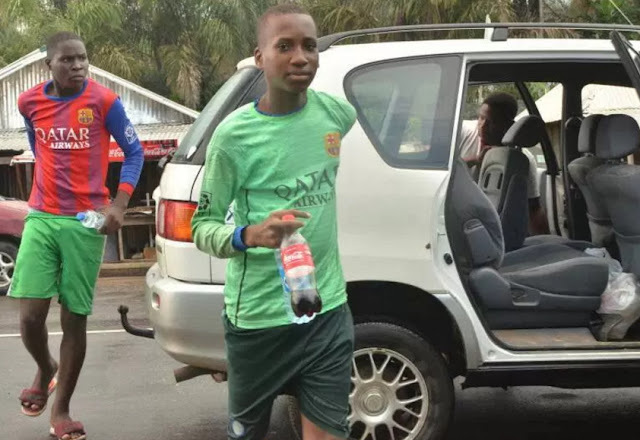 I thank God that these boys were happly back with their families. 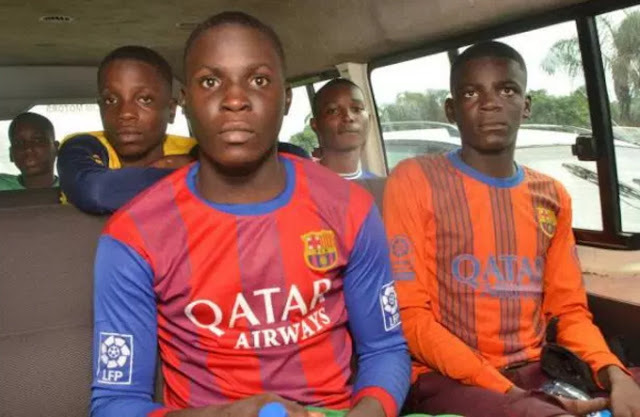 But if Lagos state government paid ransom money for the released of these boys in the hands of those cursed kidnappers, then we should expect more kidnapping in Lagos state. 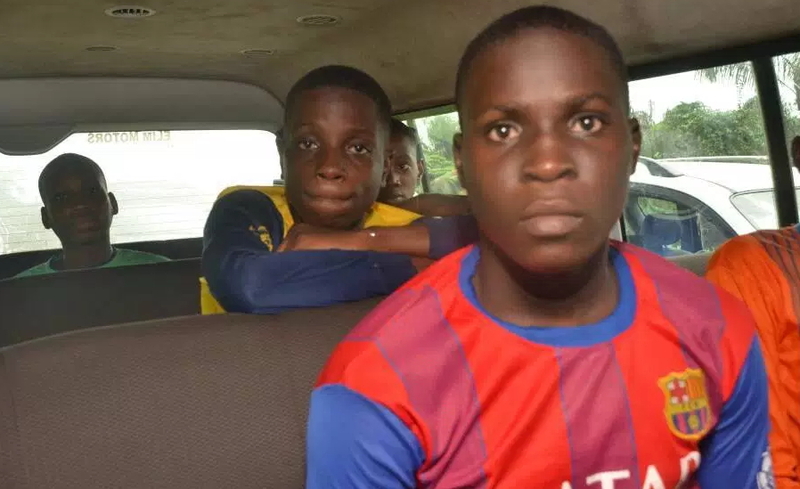 Those boys were released while the kidnappers are still hiding somewhere jubilating, sharing, and enjoying the millions of naira paid to them by Lagos state government. That every kidnap operation was successful because high ranking police officers were fully involved in the operation. The ever corrupt Nigerian police officers are those given those kidnappers useful information on how to invade justice, arrest and police tactical operations. That itself is fearful, disgraceful, and shameful. As soon as they finished the ransom money, they will surely strike again to kidnap more of our children in exchange for ransom cash. 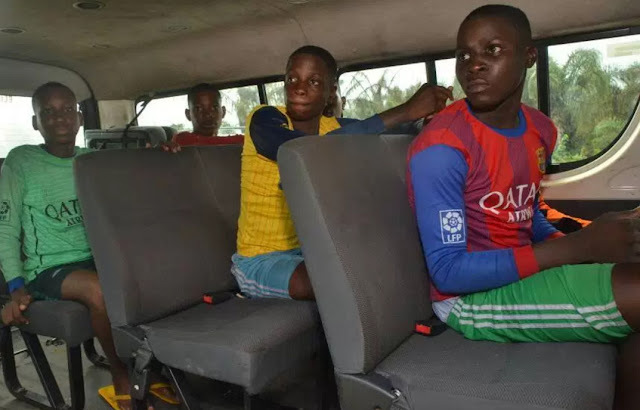 This is a total disgrace in our messy society, six innocent children were kidnapped in Ikorodu, Lagos and they were transported out of the state to far away state where the ransome millions was paid and shared among animals that should never live in any society. Nigeria is a lawless nation where armed criminals can do and undo. Only God can deliver His people from Nigerian craziness, high crimes, and all sorts of lawlessness. We thank God that they are returned alive. For all the trauma the kids, their families and every right thinking person out there went through, GOD DEY; and God’s punishment they say, does not involve caning.